Financial and professional services in Birmingham are thriving like never before. The arrival of HSBC UK&apos;s new head office to the city is key affirmation that Birmingham is the place for financial services firms to be outside the capital. But it is not just in these professional services where the city is showing its mettle. Manufacturers, commercial and residential property developers and hotel and restaurant operators have all invested heavily in Birmingham, enabling the city to create jobs, add wealth and boost prosperity. This trickles down to the next generation, with Birmingham&apos;s vibrant universities growing their student numbers and adding new courses, while institutes increase their footprints here through new campus developments. And it is this which is underpinning a bespoke approach to individual and corporate financial management at Succession – which has recently rebranded as Succession Wealth. The company employs around 40 staff at its Birmingham base in the Jewellery Quarter, which is one of 12 main hubs across the UK alongside a string of satellite offices, in locations such as Kidderminster and Rugby. Overall, the group has 600 staff including almost 180 wealth planners. Succession Wealth has remained fiercely independent in its ownership and in the advice it gives to its clients. Its nationwide presence is vital, because clients like to deal with a local firm and to meet a team with which they feel comfortable and can trust. This is a very important factor in the financial services world. Succession says it is a local business, delivered nationally, which has grown in recent years, in part due to a series of acquisitions. Succession came to Birmingham in 2016 when it acquired Clay Rogers & Partners, with Tim Clay and Mark Rogers now leading Succession Wealth in Water Street, Birmingham. Succession had been working closely with Clay Rogers & Partners since 2013 and the deal was Succession&apos;s largest to date at that time. Mr Rogers, a wealth planner with more than 35 years of experience, explains why the city is so vital to the firm. "It&apos;s important to be in Birmingham and important for us to be recognised in Birmingham," he said. "Within a square mile of this office, there are 22,000 working professionals from other businesses. Firms such as HSBC UK are relocating their head offices to Birmingham, and we are proud to be here. "We have a thriving financial and professional services sector so it&apos;s important for Succession Wealth to position itself in that arena. "Birmingham is growing and is the youngest city in Europe. "If we are thinking about the future, it&apos;s important we take our clients on board through a financial planning journey and be able to accommodate their aims and objectives. "Succession Wealth is here in Birmingham and we&apos;re open for business. We see the city as a long-term hub of excellence." Succession was formed in 2009 and has offices across the UK, from Plymouth in the south west up to Glasgow and Edinburgh in Scotland. A typical private client has around at least £250,000 worth of assets to manage, but the firm is increasingly working with younger people, such as children of existing clients who are expected to amass their wealth later in life. Mark Stokes, proposition and marketing director, said: "Our client base varies massively but any business client base ultimately becomes a reflection of the people who are offering the advice. "Many wealth planners are in their 50s but we have a healthy number in their 40s and 30s. "It&apos;s no surprise, with Birmingham being such a vibrant and young professional city, that all of our graduate intake this year is based in the West Midlands. "Our younger planners are working with young professionals and help inspire them to be in the same position as the senior professionals in the city that we have looked after for the past 30 years." Mark Rogers concurred, saying "intergenerational" financial planning was vitally important. "We believe in holistic financial planning which encapsulates all different types of people at different stages of life and with different needs," he added. The company also has specialist divisions, such as Succession Independent Women, which concentrates on female clients who want to receive advice from women, and Succession Independent Schools which focuses on the teaching profession. Succession is a big advocate of recruiting for the next generation so proactively hires graduates to ensure a broad age range is represented on its own payroll and to appeal to younger clients. Mr Rogers says this forms a key part of the company&apos;s social responsibilities, including bringing the next generation of financial planners through the ranks. "Our graduate recruitment programme is a massive step towards ensuring that everyone does have ongoing advice and that we can actually support young people," he said. "The average age of a financial planner is in their 50s but we are trying to change that by investing in young people and making sure they learn what proper financial advice and planning is all about. "When our planners reach the stage when they want to slow down or retire, there is a healthy population of people who already know the Succession way and are ready to take those clients on." Outside of the day-to-day work, Mark Rogers is currently vice-president of the Birmingham and Midlands branch of Chartered Institute for Securities & Investment, taking over the president&apos;s seat next year. He said it was vital that Succession supported the trade body which is recognised by both the government and the financial planning industry. "Partnering with professional bodies is very important and we take them very seriously," he said. "We are encouraging all of the young planners to join so they will have this professional route through the industry to a very high-level qualification, and to maintain the ethics of a professional body going forward. "Succession Wealth very actively supports this body which pulls people together and ensures there are high standards of financial planning across the board." Financial planning is all about people – individuals and families, and their plans for a sustainable, healthy future. And it is these people who are at the heart of Succession Wealth. Providing clients with peace of mind and financial security is, and will always be, Succession&apos;s utmost priority. Founded in 2009, Succession Wealth offers bespoke financial planning and wealth management to more than 20,000 personal and corporate clients and looks after some £7.75 billion client funds. Succession has 12 regional hub offices around the UK which are supported by 600 talented and hard-working people. Succession&apos;s overriding aim is to provide its clients with the expertise needed to maintain and manage their wealth. The team mantra is that the client&apos;s interest always comes first. Delivering value, continuity of service and trustworthiness are the central principles to which everyone at Succession adheres. Team spirit is fundamental to the firm&apos;s success. And while Succession&apos;s advice, processes and entire business operation are, of course, wholly compliant with regulation, its independent status means the business has full autonomy and is free from external control. In terms of pure numbers, Succession is one of the most acquisitive businesses in the financial services sector. The group buys high calibre financial planning firms and folds them into its own business which creates further value and drives growth. However, despite Succession&apos;s scale, its ambition is to remain in touch with clients personally rather than become an anonymous corporation. Succession wealth planners are always available to clients by telephone. Knowing clients well further reinforces Succession&apos;s commitment to their financial wellbeing and protection. In turn, Succession&apos;s financial planners are supported by the company&apos;s commitment to nurturing a learning community. 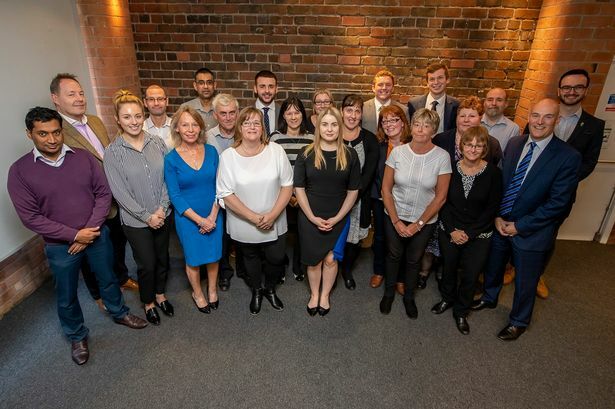 A recent and notable achievement has been the launch of its learning and development programme, Succession Academy, designed to keep Succession wealth planners at the very top of their league and provide clients with the best possible advice. Succession&apos;s wealth planners use their expertise and do all they can to make clients&apos; money work harder. They help investors to devise and understand investment strategies because well-designed investment plans will reduce anxieties and improve outcomes. Of course, prevailing market conditions form the backdrop to any investment strategy and the continuing story for the UK market is the implication of the UK&apos;s negotiated exit from the European Union. Succession is closely monitoring the impact of Brexit on the economy. Setting clear objectives and approaching the stock market through a long-view lens are key to investment management. This is terrain that clients of Succession do not have to navigate on their own. ■ Succession Benefit Solutions provides a suite of employee benefits designed to ensure business owners cater for the complex needs of staff and management teams with healthcare, risk benefits, pensions and flexible benefit solutions. ■ The final step is certainty: the plan is a living, breathing document, meaning that Succession will regularly monitor its progress ensuring clients remain on course to achieving their desired goals. Viewed holistically, this process provides clients with peace of mind and the certainty that they will have the best chance of living the standard of life they desire.